As the blades on the 16-metre tidal turbine deployed on July 22 in the Minas Passage continue to turn with no monitoring for their potential effects on sea creatures, Cape Sharp Tidal Ventures Inc. (CSTV) and the Fundy Ocean Research Centre for Energy (FORCE) are scrambling to put a contingency monitoring plan in place before government regulators intervene. However, judging by an e-mail Thursday from Stacey Pineau, who speaks for Cape Sharp Tidal, the company is not yet in a position to deploy a monitoring platform 30 metres from the centre of the turbine as required under its monitoring program or EEMP. Pineau did not respond to a request for details about the interim plan, but photos taken at the testing site on Thursday show placement of a platform on the beach at low tide that when submerged would be hundreds of metres from the turbine. It’s understood that the FAST-2 platform was being tested Thursday and has since been retrieved to download the data it recorded when submerged to see if its sensors are working properly. Pineau wrote in her e-mail on Thursday that deployment of the required monitoring platform near the turbine has been hampered because the turbine developer OpenHydro, which holds 80 per cent of Cape Sharp, is in the midst of bankruptcy proceedings. Only days after turbine deployment, OpenHydro’s parent company, Naval Energies of France, asked an Irish court to liquidate the company because of debts amounting to $426 million. It remains to be seen whether DFO and Nova Scotia’s departments of environment and energy will continue to allow the turbine blades to turn much longer without the close monitoring the regulators require. On Thursday, Nova Scotia’s energy minister, Derek Mombourquette, told the Canadian Press news agency that the turbine cannot be allowed to sit on the bottom of the Minas Passage indefinitely. To read the full Cape Sharp EEMP including Appendix D which gives more information about the contingency monitoring plan, click here. 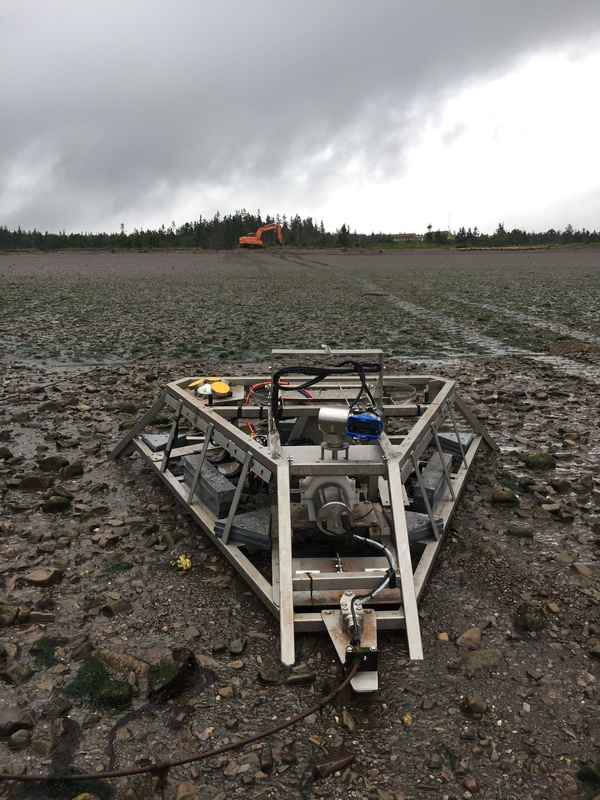 This entry was posted in Tidal Power and tagged Department of Fisheries and Oceans (DFO), Derek Mombourquette, Enviromental Effects Monitoring Program (EEMP), Stacey Pineau. Bookmark the permalink.